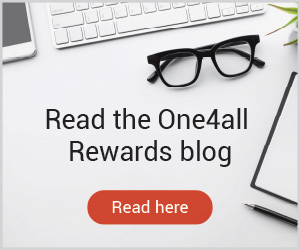 With over 130 brands to choose from nationwide, including Argos, M&S, Boots, Debenhams, TK Maxx and many more, the One4all Gift Card is a perfect treat for your staff. 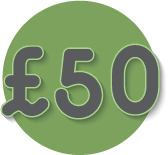 Businesses can now reward their staff up to £50 each in One4all Gift Cards completely Tax-Free. 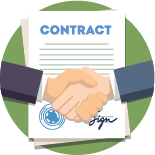 Gift your staff with One4all Gift Cards and save over £48 per employee. Find out more below. 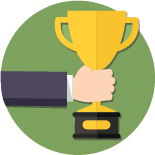 Fill in your details and we'll get in touch to provide more information about the Trivial Benefits scheme or help you place your order. 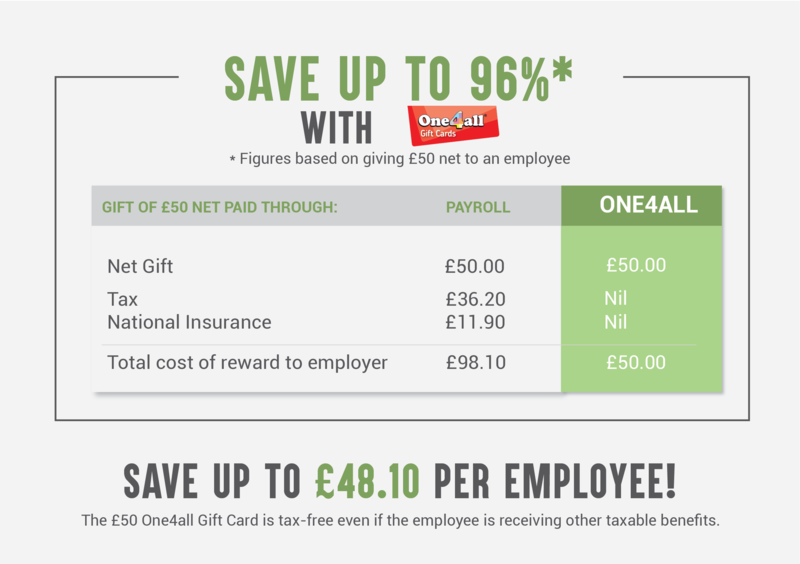 HMRC's Trivial Benefit allowance means that businesses can save up to £48.10 per employee simply by delivering a gift in the form of a One4all Multi-Store Gift Card, instead of a payment through the employee's salary. What's more, One4all Gift Cards can be spent in over 55,000 outlets nationwide and online on everything from food to fashion, homeware to holidays, giving your staff the flexibility to choose a gift they'll truly value. Taking advantage of the Trivial Benefit tax-free allowance couldn't be easier. 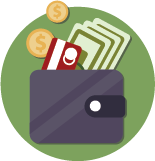 Simply choose a card and complete the checkout process and your order will be dispatched, free of charge, via Special/First Class post directly to your business. Alternatively, give us a call on 0207 608 2008 and we'll be happy to help. With thousands of products and hundreds of stores nationwide, your staff will have a wide range of choice to spend their gift card in-store and online with Argos. Classic styles, delicious food and much more - M&S offers your employees a taste of luxury when they spend their gift card. Accepted in-store and online. The very best technology, including must-have computers, gadgets, televisions and sound systems, all in one place. Your staff can take their pick with One4all, accepted in-store. 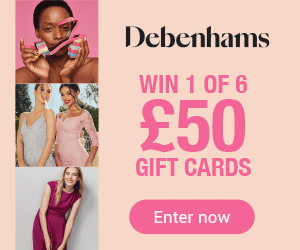 There's something for everyone at Debenhams - from homeware to beauty, fashion to electricals. Your employees will be spoilt for choice with their One4all Gift Card, accepted in-store and online.